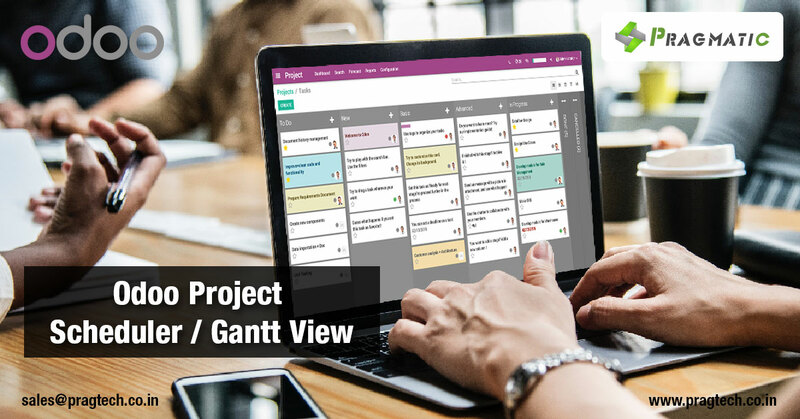 Pragmatic has developed an app for project scheduler / Gantt view for all resource and process owner, they can track and create resource wise task on the fly and can track the scheduled timeline. Pragmatic has developed a new scheduler view on top of odoo project tasks. So that you can leverage the default functionality of Odoo along with scheduler view. User can see the monthly/weekly/daily schedule of the resources. Task status wise color code is viewed on scheduler, user can set different color for each stage of the task. You can see the schedule view for any date, simply clicking on calendar button on scheduler view.